CarGurus has 2,965 nationwide SL-Class listings starting at $4,995. Following a full sixth-generation makeover in 2013, the Mercedes-Benz SL-Class 2-seat roadster receives only minor updating for 2014. An analog dash-top clock becomes a standard feature in the SL550, and the automaker adds new Cardinal Red Metallic and Polar White exterior colors. Otherwise, the SL remains unchanged. Sixth-generation improvements were extensive, and included an all-aluminum body shell designed to reduce the SL's weight, new exterior styling, a new powerplant, an updated audio system, 2 new retractable hard tops and a number of newly available driver-assistance systems, including a drowsiness detector called Attention Assist and an Adaptive Brake. The design changes make the iconic SL, which dates back 60 years, even more desirable to its upscale target audience and has led some to call the SL the official car of the rich and famous. Due to its new aluminum body shell, the SL now tips the scales at a relatively light 4,001 pounds, compared to 4,220 pounds for the previous generation. The weight reduction helps to improve the SL's agility and handling characteristics, as well as its fuel-economy numbers. The new SL manages to achieve its trimmed-down weight while adding almost 2 inches in length and more than 2 inches of width. These greater dimensions were met with dismay by some critics, who felt the larger size actually diminishes the SL's true nature as a small, sporty roadster. However, the SL's cabin now offers more shoulder room (55.5 inches vs. 54) and headroom (39.1 vs. 37.7) than the previous generation, although legroom remains about the same. Mercedes-Benz offers the SL in SL550 Roadster, SL63 AMG Roadster and SL65 AMG Roadster trims for 2014, each with a different engine and transmission. 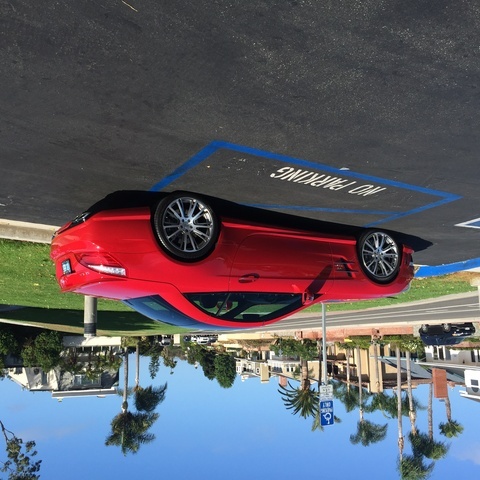 The SL550 received a new 4.6-liter bi-turbo V8 in 2013, which replaced a non-turbo 5.5-liter V8. The new V8 delivers 12 percent more power than the previous version, generating 429 hp and 516 lb-ft of torque from 1,800-3,500 rpm. It drives the SL550 from 0–60 in 4.5 seconds. The bi-turbo V8 mates to a 7-speed automatic transmission with a manual-shift mode and steering-wheel-mounted paddle shifters. It manages fuel economy numbers of 18 mpg city/25 highway. An Eco start/stop system turns off the engine at stoplights or when idling to conserve fuel and automatically starts it up again when the driver releases the brake. The SL63 AMG pumps up the power with a handcrafted 5.5-liter bi-turbo V8 engine, which produces 530 hp and 590 lb-ft of torque. Its 0-60 time drops to 4.2 seconds. The big V8 links to a 7-speed AMG Speedshift MCT automatic transmission, also with paddle shifters, and posts fuel economy numbers of 16/25. The SL63 AMG also includes the Eco start/stop feature. At the top of the heap, the SL65 AMG gets a beefy handcrafted 6.0-liter bi-turbo AMG V12 powerplant, a rarity in the automotive world today. The V12 produces a staggering 621 hp and 738 lb-ft torque at 2,300–4,300 rpm. It pushes the SL from 0-60 in 3.9 seconds and manages relatively decent fuel economy numbers of 14/21. All three engines require premium fuel. For its next-generation update in 2013, the SL received a new front fascia with a wide upright grille, deep front air dam with mesh air intakes and large centrally located Mercedes-Benz 3-pointed star. HID headlights with highbeam assist and LED running lights come standard. Sculpted sides and lower side sills help improve aerodynamics, and the rear end features revised taillights, which manage to vaguely retain the traditional triangular shape associated with the SL. Some reviewers find the trunk design a little chunkier than previous version's, with less overhang. A power retractable roof opens and closes in about 16 seconds, stows in the trunk and features a rear window that pivots 180 degrees to help conserve cargo space. The roof features a panorama design with transparent glass on top and a manual mesh sunshade to limit the amount of light entering the cabin. Owners can also add a Magic Sky Control roof with a transparent top, which lightens or darkens automatically depending on exterior light. The SL rides on a performance-oriented 4-wheel multilink suspension made of lightweight yet rigid aluminum, and includes a semi-active adaptive damping system, which continually makes adjustments based on driver inputs and road surfaces to ensure sharp handling and a smooth ride. The damping system includes Comfort and Sport modes, enabling drivers to adjust the firmness of the ride. Both the SL63 AMG and SL65 AMG receive an upgraded suspension with AMG-calibrated Active Body Control. A standard Torque Vectoring Brake system shifts torque between the rear wheels and applies the brake to the inside wheel in tight turns to ensure traction and stability. Perforated and ventilated front brake discs help dissipate heat and provide good stopping power, while the electromechanical variable-ratio steering delivers precise control and good feedback, as well as quicker steering with a lighter effort at lower speeds. The SL550 rides on 18-inch staggered-width alloy wheels, while the SL63 AMG gets 19-inch AMG alloy wheels. The SL65 AMG receives staggered-width 19-inch wheels in the front and 20-inch wheels in the rear for optimal grip under hard acceleration. Inside, generous amounts of sun-reflecting leather upholstery and wood trim in a variety of colors, including Burl Walnut, Black Ash and Satin Brown Poplar, create an inviting yet sporty environment. The heated and ventilated multicountour seats feature 12-way power adjustment and 4-way lumbar support with memory, as well as a massage feature and an Airscarf neck-level heating vent built right into the seatback, while the thick 3-spoke steering wheel comes wrapped in Nappa leather. A power-operated windblocker mesh screen behind the seats helps prevent wind buffeting in the cabin. Standard tech features include a navigation system with an 80GB hard drive and a 600-watt, 12-speaker Harman Kardon audio system with HD radio, SiriusXM satellite radio, a 6-CD/DVD changer, Bluetooth and a USB port. Dual-zone climate control, keyless entry, an illuminated entry system and auto-dimming interior and side mirrors are among the other standard features. Nappa leather upholstery comes standard on the SL63 AMG and SL65 AMG. A wood/leather steering wheel, soft-close doors and a 900-watt Bang & Olufsen audio system are among the optional features. Safety features include 8 airbags, electronic stability control and antilock brakes with brake assist, as well as a rear-view camera, a parking assist and pop-up roll bars. Mercedes-Benz also includes its Pre-Safe system, which tightens the seat belts and closes the windows in the event of an imminent accident, and its mbrace 2 connectivity system, which uses mobile apps to enable owners to manage their vehicles and access services from the car or a smartphone. New safety options for 2014 include a blind-spot alert system and a lane-keeping assist system. 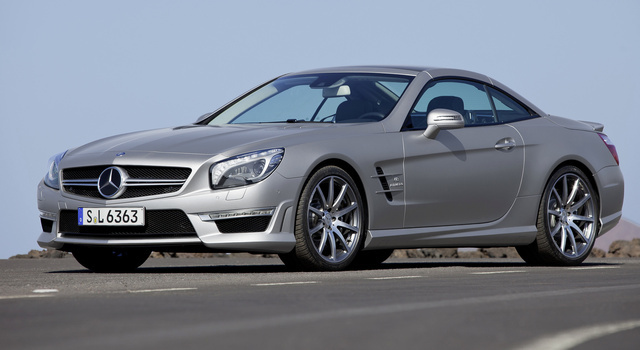 What's your take on the 2014 Mercedes-Benz SL-Class? Have you driven a 2014 Mercedes-Benz SL-Class?